I have bought the Aquarius computer somewhere in 1985. In the Netherlands the system was distributed by Dunnet, who also provided a nicely translated (dutch) guide. The Aquarius was sold in several stores and good available. Even my next-door neighbour owned an Aquarius. In my quest in gathering more information and getting in touch with other Aquarius-users I joined the Hobby Computer Club (HCC). The HCC had several different usergroups and the Aquarius group was one of them. Unfortunattely it died an early death. But another usergroup rised: The Aquarius users, maintained by van Balen uitgeverij. I joined in when the group was already in progress but was able to get some technical information, hardware and software from this group. The Mattel Aquarius was the first and only genuine home computer offered by Mattel Electronics. Mattel did not start by designing a computer. 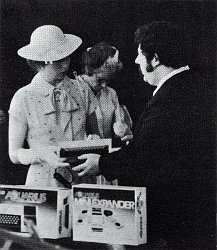 It instead began by looking around for a pre-made computer system it could market under its name. It discovered that one of its manufacturing partners, the Hong Kong based Radofin Electronics Far East, had already designed a three-system line of home computers. All Mattel had to do was secure the U.S. marketing rights, which it promptly did for the first two units in the line, and have Radofin handle the manufacturing. The simplest unit, originally code-named "Checkers" and which was eventually named the Aquarius (Model #5931), did have some good things going for it. The 13.5 x 6 x 2 inch unit was equipped with the same Z-80A microprocessor used in many other home and business computers of the era; it had built-in BASIC, being a subset of full Microsoft BASIC; it had the ability to utilize cartridge-based games and other software; and, it had a color video display (16 foreground and 16 background colors, with 40 character x 24 line text). But it also featured a mere 4K of RAM (along with its 8K of ROM) with only about 1.7K free for BASIC programs, a "chicklet" keyboard with just 48 keys and a reset button, a one-voice tone generator for sound, no programmable graphics, no sprites, no game controllers, no monitor port (it attached to a TV only), a non-standard printer interface, ordinary cassette access at 600 baud, and no expansion capability except for what could be plugged into the cartridge port. Given that the unit was introduced in 1983, these features did not make it strongly competitive in the home computer market. The Mattel programmers dubbed the Aquarius as "the system for the Seventies!". In its defense, Mattel did recognize some of the problems. Mattel added a larger character set to the original Radofin design, so that games could use character graphics. Mattel made several sizes of memory add-on cartridges. 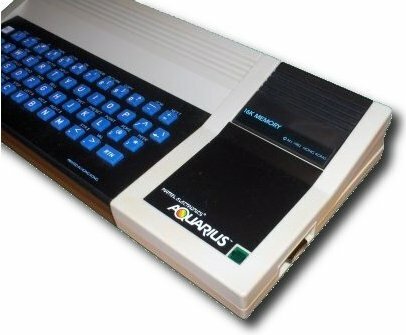 It produced a "mini-expander", which at least brought three-voice sound to the Aquarius, added two game controllers, and allowed both a memory cartridge and a program cartridge to be plugged in at the same time. 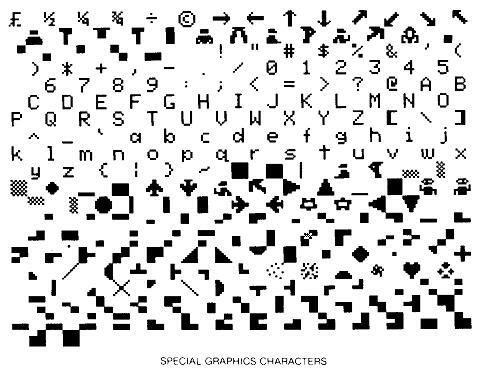 And Mattel was working not only on other gizmos for the Aquarius (such as a larger expander which would allow disk drives), but also on the intended successor unit, originally code-named "Chess" and called publicly the Aquarius II (Model #4000), which would have had more memory, a full stroke keyboard, and hi-res graphics capability (character resolution of 320x196). However, the initial failure of the Aquarius was such that it was discontinued almost as soon as it hit store shelves ("One of the shortest lifespans of any computer", according to the April '85 issue of COMPUTE! magazine). Hardware development stopped within Mattel Electronics in mid-1983, and the company was shut down at the beginning of 1984. Radofin was paid to take the Aquarius marketing rights back. As per January 1st, Radofin officially took over the Aquarius again. Radofin got the unsold stock and all marketing rights. Confident in their system, Radofin's president, Lawrence M. Scott, Jr., announced that they would continue to sell Aquarius through a new distributor, and would release Aquarius II in March of 1984 and Aquarius III in July. The "Mattel Electronics" logo was removed from the casing, the boxes and the manuals. Also all references to the Mattel name were removed from the ID label on the bottom of the machine. Radofin Electronics manufactured the Aquarius for almost two more years, using different brand names to target local markets, like the Kronos Europea. A small amount of the Aquarius II have been manufactured, but the Aquarius III never made it.